The perfect Christmas gift for your new husband or wife? Our advice. Is the thought of what to buy your new husband or wife for Christmas already filling you with dread? As a couple who married not too long ago ourselves- we’ve been there ourselves! Pressure! Many couples consider their first married Christmas to be a special one. It’s therefore understandable that one would want to raise the bar and deliver a gift that’s sure to please. But what do you get someone who you’ve already shared years of your life with? You want something that’s thoughtful, unique, sentimental and also a keepsake? Something that shows how much you care and value your relationship. What could you possibly get that ticks all those boxes and more? 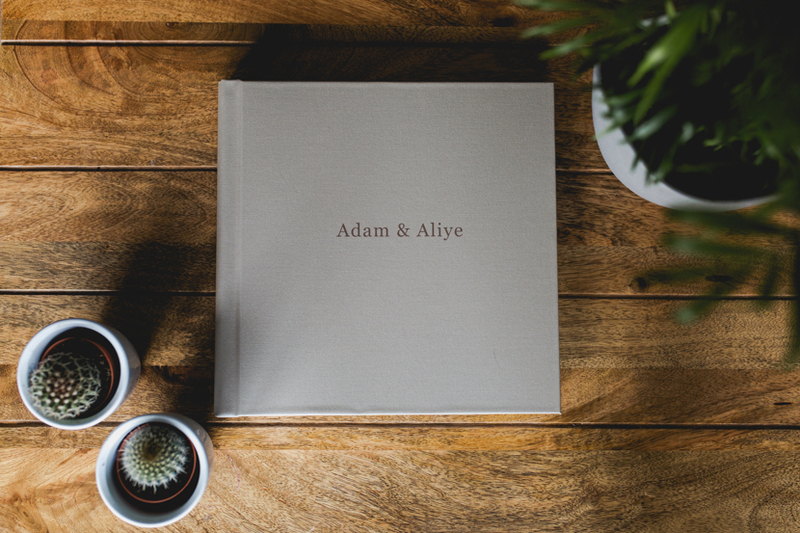 What about a wedding album for Christmas? 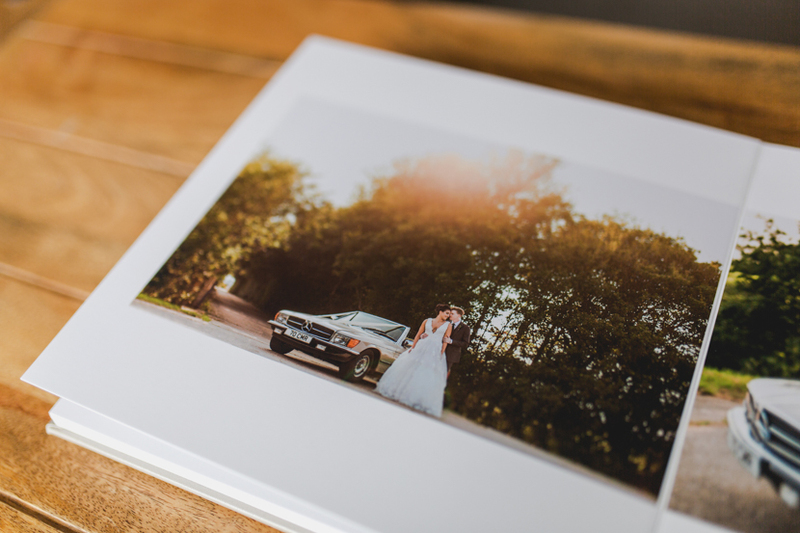 Professional wedding albums are a timeless, unique and heartfelt gift that can be enjoyed now and for years to come. They can be personalised to suit your tastes and designed to include all of your favourite images. They come in a range of sizes and styles so you can guarantee that no matter what, your other half will love it! They’re a brilliant way to show how much you care without needing to invest too much time. We all know how draining it can be aimlessly wandering around shops or trawling the internet hoping to stumble on something perfect. 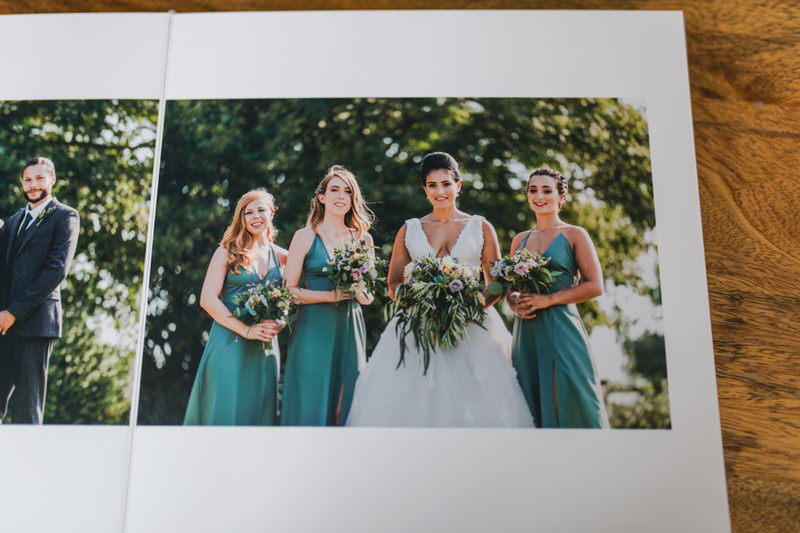 Simply choose the photos you’d like to include, the size you’d like and the colour of your album cover and we can do the rest- simple! And if you aren’t sure on photos, we can even do that too, at no extra cost. What’s more, it can all be done via email, so there’s no risk of your partner finding out or walking in on you whilst you’re secretly trying to upload and design an album of your own. We’ve got you covered! So why a professional album? Quality. We have ordered from pretty much everywhere over the last 7 years and nothing comes close to the quality of a professional album. Every single aspect is head and shoulders above the products available directly to consumers. From the binding, to the covers, to the pages and inks. Even the top end consumer albums tend to tear, fade or fall apart with frequent use. 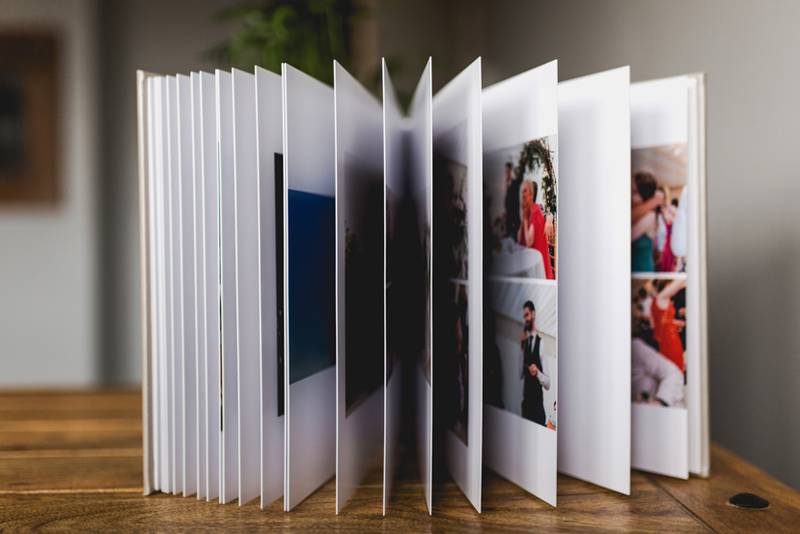 For something like a wedding album that will be looked at loads and for years to come, you really do need the quality behind you. 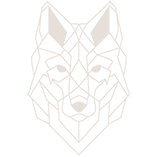 All our albums are handmade in the UK and printed with fade resistant inks. Professional albums really are built to last a lifetime. No paper pages. You don’t have to worry about tearing a page if you turn too enthusiastically! 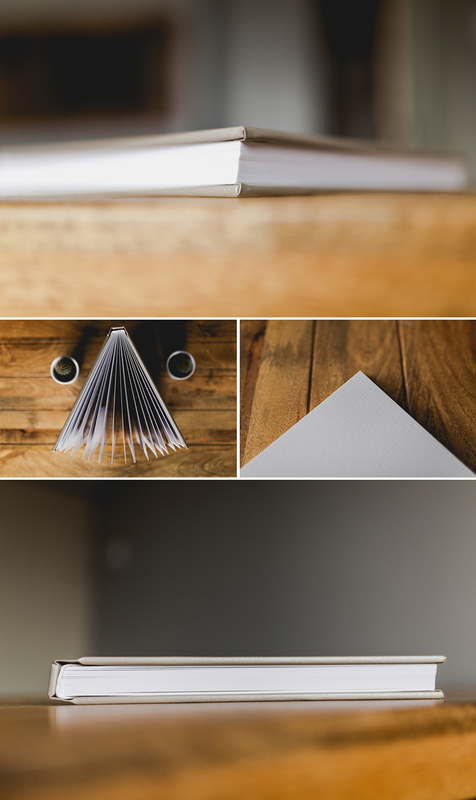 Print across double pages without that awkward gap in the middle like you get with coffee table style books. No branding or company advertising. What’s worse than giving what you think is a romantic gift, only to have a huge company logo stamped on the back? This is what most consumer album companies do! The more you buy, the cheaper they are. So if you’re also thinking about ordering additional copies for parents, grandparents or friends, the over all cost comes down! Inevitably most couples want their albums back in time for Christmas so if you are thinking about ordering as a gift, we advise that you get in touch to reserve your design slot asap. We usually only have 3-5 design spots left at the end of summer, due to couples who have already pre-booked their album with their wedding photography package. The Christmas order deadline usually falls around mid November, so be quick! 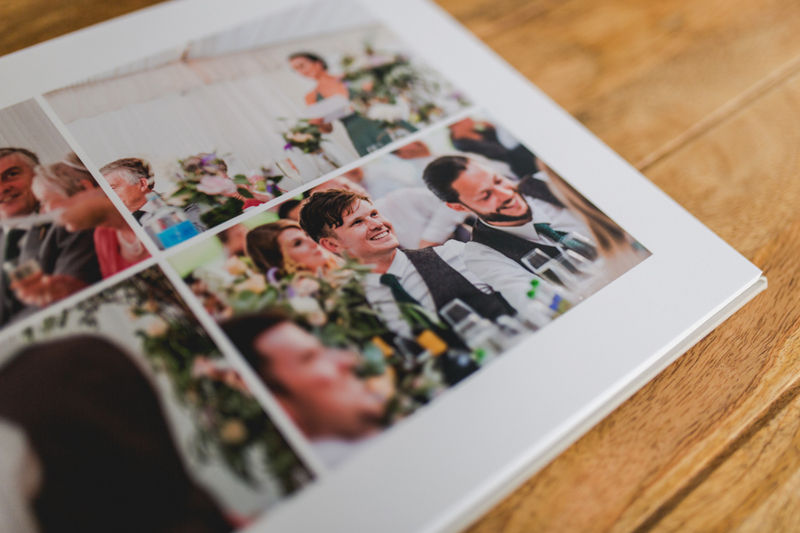 And if a wedding album isn’t quite right, we can also help you find the perfect print product too. From framed photos and single prints to custom baubles, canvasses, box prints and more. We’re always at the other end of an email to chat if you’d like to discuss options.